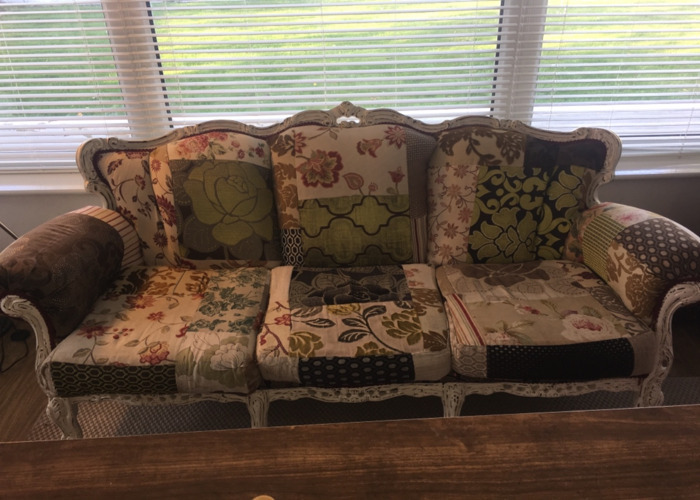 Vintage Louis sofa re upholstered in different fabrics. Main colours are lime, pinks and browns. Gorgeous piece. Would be ideal for television, film, music video etc. Located 2 minutes from Newcastle Airport.